RUNNING WITH THE DAWGS—Senior Zane Coburn officially commits to the University of Georgia. Accompanying Coburn are teachers George Darden and Jeff Cramer and Coburn’s running mentor Nick Stephens. 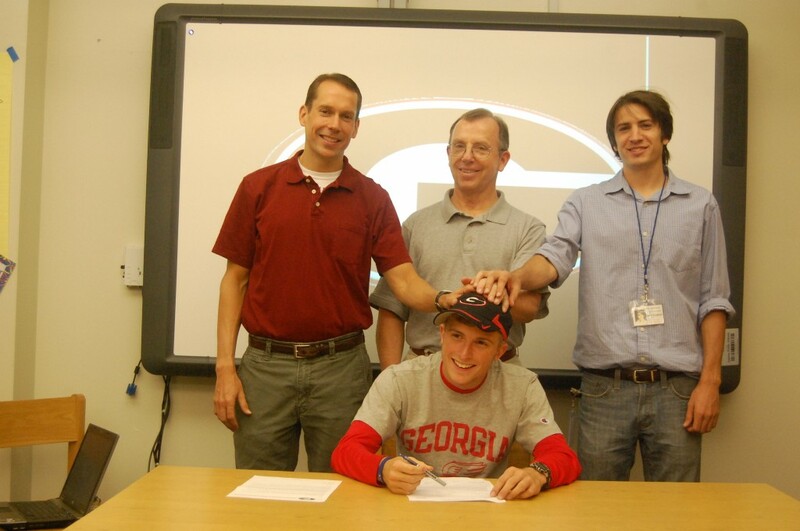 Coburn received a track/cross country scholarship at the university.